By myself, I don’t know what is best for me. I might choose green grass to eat –right on the edge of a cliff– without even once understanding the danger. I can’t fight a wolf. If a predator comes after me, I must have protection or I will perish. If I see no water to drink, I may wander aimlessly looking for it. I am a sheep, but I’m not alone. 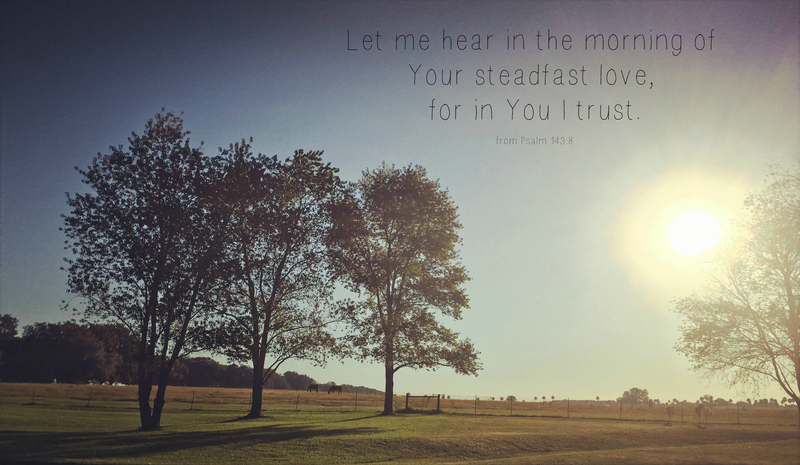 I must trust Him to guide me. He chooses what grass I will eat and where I will eat it. He protects me against my enemies. There is none who attacks that He cannot stop. It was early morning yesterday when I went to my friend’s house. After my visit, I drove to the end of her street and turned around near a pasture. The sun was low in the sky as it was glowing across the grass and trees. Two horses stood serenely behind the fence. I was blessed to see such a peaceful landscape—a gift from God. Up the hill behind my house stands a tree. Right now, it looks barren and forlorn. I’m not concerned for it, though, even in its current state. I know about its future. Spring is coming, and I have faith that what looks barren and dry now will soon be filling out with green leaves on every branch. I can’t see springtime before it comes. I can’t hear springtime before it comes. I just know that it will come. It’s like a promise from God. He has set the seasons in motion and they happen every year. Our future is also set. When God tells us something is going to happen, it is going to happen. There are times in our lives when things may look barren. 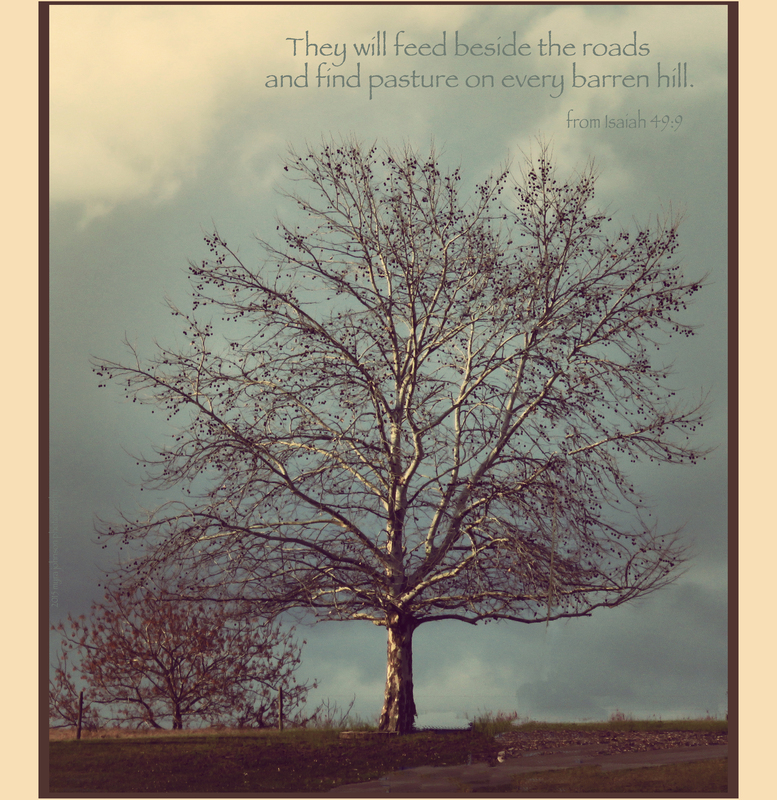 With God, even a barren hill can one day become a green pasture.